The collection of plastic bottles for recycling increased to 48.5 per cent in 2010, according to a Recoup report. This is an increase of 2.5 per cent compared to the previous UK Household Plastics Packaging Collection Survey report with over 281,000 tonnes of plastic bottles collected. Over the last decade during which Recoup has published this report each year, the collection rate has risen from 3 per cent to the current 48.5 per cent. 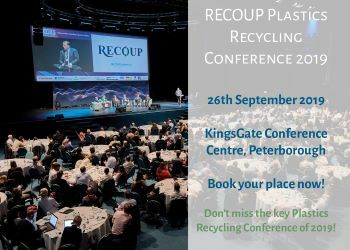 However, the number of non-bottle plastics collected for recycling doubled to 76,300 tonnes, according to the report which was launched at a British Plastics Federation event in Stoke. There are warnings in the study that bottle collection rates over the next five years will struggle to meet the burgeoning demand for material, while the non-bottle collection rates will increase significantly. This will require investment in sorting infrastructure and further development of sustainable and auditable end markets for this fraction. The report will be available on the Recoup website in November.